Please join Karma Trinlay Rinpoche for a weekend of extraordinary teachings at one or more of our Bodhi Path Centers in California. Heart Sutra: Rinpoche will be teaching from the Heart Sutra, the second of the three major teachings that Buddha Shakyamuni gave in his lifetime and one of most profound teachings in Buddhism. The Heart Sutra explains the meaning of ultimate view, as well as the profound path that leads one to complete Buddhahood. This teaching directly leads one to the perfect understanding of the meaning of emptiness. Once understood, The Heart Sutra then helps one gain the realization of emptiness, which frees one from all attachment which is the source of suffering. The realization of emptiness is the source of ultimate happiness and joy, and is the ultimate weapon to destroy the source of suffering from its root. Rinpoche will also guide meditation as part of this program. 35 Buddha Practice/Karma: Trinlay Rinpoche will be at the Menlo Park Bodhi Path teaching on Karma, and the 35 Buddhas Daily Practice text. February 14 - 27, 2015: Practicing in the Footsteps of the Buddha: Dawa Tarchin Phillips, resident teacher at the Bodhi Path Center in Santa Barbara, will lead a pilgrimage to Nepal and India. Professor Lara Braitstein will teach the Heart Sutra at the Bodhi Path Center in Chicago the weekend of January 30-February 1, 2015. 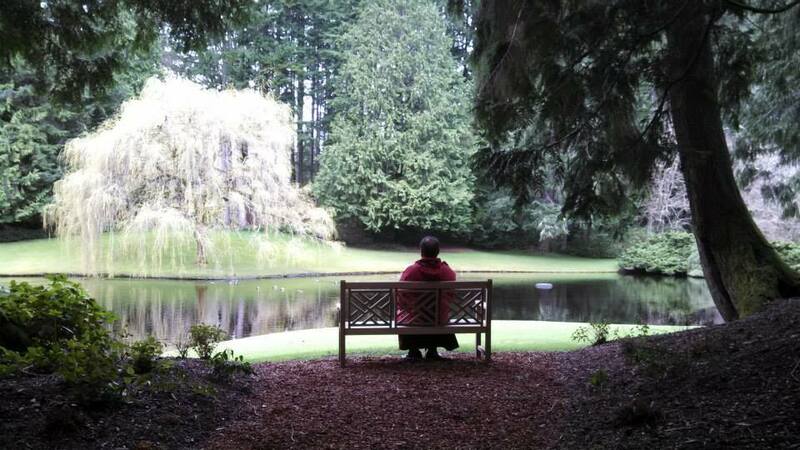 March 1-7, 2015: A week-long retreat combining the teaching of Professor Lara Braitstein, and a meditation intensive led by Dharma Teacher Tsony. The Poetry of Realization: From the time of the Buddha Shakyamuni to the present day, in every culture that has adopted Buddhism, accomplished masters have expressed their paths and realizations through poetry. Through closely reading inspiring translations of the work of Buddhist poets such as Ashvaghosha, Saraha, Milarepa, and others, Professor Lara Braitstein will lead us in exploring some of the many styles and goals of expressing the hardships of the path and the bliss of awakening. Dharma Teacher Tsony's meditation program will be based on and drawn from the Songs of Realization of Gendun Rinpoche. Lama Jampa Thaye will teach at Bodhi Path Centers in the USA throughout 2015. This visit was requested specially by Shamar Rinpoche, and we are delighted that Lama Jampa Thaye has accepted our invitation. October 2015: Martha’s Vineyard, DC, Natural Bridge, NYC (details TBD). Chumba Lama will travel to Bodhi Path Centers in the USA to teach a special Tibetan breathing yoga practice. We are currently scheduling Chumba's visits to six BP centers in North America. Look for the dates and details on our website. Bodhi Path Renchen-Ulm is building a reliquary stupa in the center's garden, honoring Shamar Rinpoche, and have asked that you consider participating. 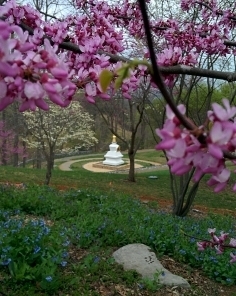 Likewise, the Natural Bridge Bodhi Path Center has also received relics, and plans for building a reliquary stupa have started there as well. This is another wonderful project to generously consider offering to, in honor of Rinpoche. a wonderful testament to Shamar Rinpoche's abilities as a guide on the path to awakening. Though Rinpoche has passed on, our activity continues unabated because Rinpoche's activity continues through us all. We are a dedicated, devoted group indeed. We have special teaching tours lined up throughout our widespread Bodhi Path community in 2015, so keep your eyes on both your local center's webpage and our home page for updates. Our resident teachers continue to provide great insight and guidance during regularly scheduled programming at local centers as well. A special tribute edition of The PATH newsletter will be published this coming Spring. Thank you for your memories, words, and sharing about Shamar Rinpoche. If you are inspired to contribute something, we invite you to email the newsletter team with your submission. We send you warm wishes for a fruitful new year, and many thanks for being a part of our Bodhi Path community. Have you seen these videos and articles? Bodhi Path Renchen-Ulm has announced that the CD and DVD of Shamar Rinpoche’s last program in June of 2014 is available. Also available is a CD of Rinpoche singing the Dewachen Prayer, which is offered for free, plus shipping. 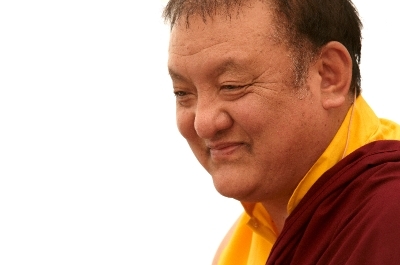 December 1, 2014 Washington Post posthumous interview with Shamar Rinpoche. Buddhism Today Magazine current issue dedicated to the life of Kunzig Shamar Rinpoche. Trinlay Rinpoche video series The Spirit of Awakening. Lama Yeshe Drolma teaching video series from Martha’s Vineyard Bodhi Path. Bedside Bodhisattva, Dharma Teacher Pamela Gayle White’s column in Tricycle Magazine.